When supporters rolled out what they called "penny-a-pill" legislation last month, they described it as a bipartisan effort to raise needed money to combat the opioid overdose epidemic that claimed hundreds of lives in Minnesota last year. But the legislation faces an uncertain future after strong opposition from pharmaceutical companies and some business interests. The legislation, as originally proposed, would charge pharmaceutical companies a fee for every opioid painkiller they sell. That would raise an estimated $20 million in continued funding for abuse prevention efforts, wider access to the overdose medication naloxone and more resources for treatment. But the House version of the bill no longer includes the fee on manufacturers. Instead, money for the programs would come out of the state general fund, which would be one-time funding. And just this week, the Senate version was tabled by the bill's author in the committee she chairs. Supporters of the bill, including many who've lost loved ones to overdose, are alarmed. Sen. Chris Eaton, DFL-Brooklyn Center, lost her daughter Ariel Eaton-Willson to a heroin overdose in 2007. She helped conceive the bill, but said she won't support it if it relies on general fund money instead of a fee on opioids. "That money will be taken from schools and health care and so on, and that's not OK," Eaton said. "We've already spent enough taxpayer dollars on this opioid crisis. It's time for the pharmaceutical companies to pony up." The industry group Pharmaceutical Research and Manufacturers of America (PhRMA) employs five lobbyists at the Capitol, according to state records. Director of Public Affairs Nick McGee said his group has supported proposals that prevent overprescribing, educate and expand access to treatment. "We're engaged with lawmakers," McGee said. "We're engaged with the process to bring together a solution and we're going to continue to be." McGee said the state should not implement a fee on manufacturers. "Taxing medicines prescribed for legitimate medical needs is not an appropriate funding mechanism for the state's budget," McGee said. Lexi Reed Hultom, executive director of the Steve Rummler Hope Network, said it's only fair that pharmaceutical companies that make money off prescription painkillers should pay for some of the solution. 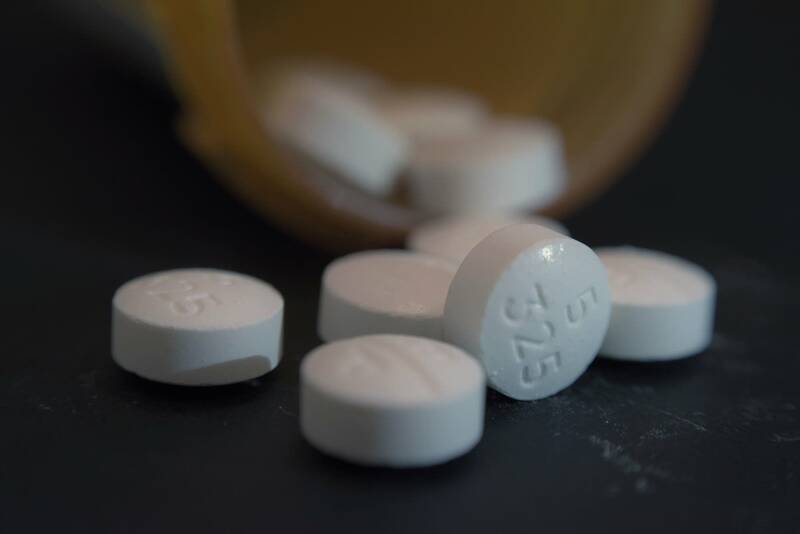 If the legislation in its original form passed, Minnesota would be the first state to collect this type of fee on opioids from pharmaceutical companies. "Of course [pharmaceutical companies] don't want it, then every other state is going to be able to look to Minnesota to say there's precedent," Reed Hultom said. "This is coming, it's just a matter of when our legislators are going to actually be able to stand up to pharma and create this result." The House author of the bill, Rep. Dave Baker, R-Willmar, said the fee had to come out of his version to keep the legislation alive. Baker hopes the fee stays in the Senate version, so that it could end up in the final bill. Although the bill's authors gave pharmaceutical lobbyists and manufacturers an early look at the legislation, Baker said they have yet to give him any ideas. "You spend so much money on lobbying efforts, why don't you turn some of that into relief and some community support?" Baker said. "Those are the type of questions I can't get an answer for." Baker, whose son Dan died of an opioid overdose in 2011, said some in his party may be "challenged" by the "optics" of the fee. But added that more and more Republican colleagues having been coming forward to tell him they support it. "As a dad who lost a son and didn't know the sort of information I needed to know about addiction and what these pharmaceutical heroin pills do to people, I will not give these folks any kind of a pass, no matter what they try to throw at us," Baker said. "I need my colleagues and my folks in my district to keep fighting for this because it's the right thing to do." Another group that's also lobbied against the fee is Americans for Prosperity, the advocacy organization founded by the conservative Koch Brothers. State director Jason Flohrs said the fee would end up increasing health care costs. "If that bill starts to move again in the Senate with those opioid taxes involved, we'll ramp up efforts with our activists and make sure they get in touch with their legislators and let them know that now is not the time to be raising health care taxes on Minnesota families," Flohrs said. Governor Mark Dayton said last week that he's "disappointed that some Republican legislators continue to protect the large pharmaceutical companies from contributing to Minnesota's fight against the opioid epidemic." "Shifting this financial responsibility onto Minnesota taxpayers is unfair," Dayton said in the statement. "It will not assure the revenues we need to properly fund the prevention, treatment, and recovery measures needed to save lives." The Senate author of the bill, Julie Rosen, R-Vernon Center, said pharmaceutical companies or lobbyists hadn't engaged her at all until this week. "It certainly has gotten the pharmaceutical companies attention, which is what we need," Rosen said. "They have been missing from the table. And we need all stakeholders at the table in order to move this situation off of crisis level." While acknowledging that it's controversial, Rosen said the "penny-a-pill" fee is a key piece of the legislation. Even though she has tabled the bill to align it more with the House version, she said it's not yet decided whether the fee will be taken out. "That bill is still alive. It's still in my hands," Rosen said. "I have battled the pharmaceutical companies in the past before with pseudoephedrine behind the counter, and like I said, when you get their attention, we do make things happen."